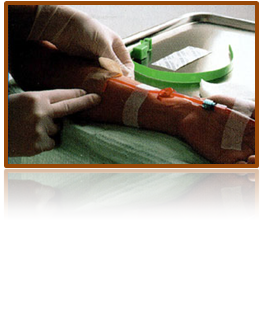 The hemodialysis access provides the route for the blood to be cleansed, i.e. in and out of the patient’s circulatory system, and is a significant factor in the cost of treatment as well as in the efficacy of the dialysis treatment. The hemodialysis access information is imported automatically into other hemodialysis chart sections such as the hemodialysis prescription and session charting. Installation: A record of the installation of the hemodialysis access performed in advance of hemodialysis treatment. A photograph of the body location at which the access is installed, or alternately a drawing of the access location on the appendage is part of the installation documentation. Assessments: Regular visual assessments of the hemodialysis access, to determine access deterioration and potential for existing complications. Recirculation: A record of the rate of access flow and flow recirculation as well as restrictions in the access, factors directly impacting the access’s efficiency. Complications: Problems occurring with the access that can be treated and corrected, or result in access failure requiring access removal. Failure / Removal: A record of the reason for the hemodialysis access failure and its removal. Revisions: In order to correct problems with the access, some surgical or other intervention may be required, these being charted in this section.